After twenty eight years of developing the World Famous Tisa’s Barefoot Bar, we are proud to present the new and improved Tisa's low impact business blueprint. The amazing Barefoot World of Tisa’s has matured to everything barefoot. This Barefoot World includes the world famous Tisa’s Barefoot Bar, Eco lodge accommodations, a Barefoot Umu Feast every Wednesday, a Marine and Wild Life Preserve, a Traditional Tatau Art Festival, a PO ULA Night, and the Palolo Festival. Because we are living in times of a Food Security Revolution, Tisa’s offers organic meals from our garden to your dining experience. Join the harvest of life in our eco- garden and gather your own with your famous hosts. Spending time in Tisa's Barefoot World inspires and heals. This world is sustainable and fueled by Nature. Your Barefoot hosts, Tisa and Candy Mann's, eco- blueprint is a must see. Our evolving mission is shaped by our journey; changing from how to preserve and protect, to how to use less and do good when you get there. When you are ready to disconnect, we are here for you. We are pleased to offer you a space to detox, relax, and renew! 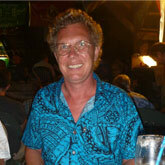 The amazing secrets of the natural healing of Samoa are worth a trip to Tisa's Barefoot World. From the rainforest to the ocean beach, you will feel the soothing embrace of nature surrounding you. The Alega Marine Preserve is proud to share the beauty of the marine world in the marine life species, rescued and revived in the Alega Village Marine Rescue Project. Take a snorkeling introduction tour to view marine life residents in our sanctuary. There are so many colorful species waiting to meet you. Let us offer you our new approach of how to be a responsible traveler and feel the heartbeat of the islands. 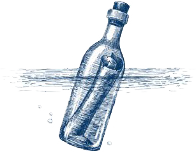 Our natural aquarium is an awesome place to start. 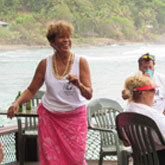 As a pioneer and advocate of Eco-tourism, Tisa’s Barefoot Bar practices low-impact operation to discourage further damage of other living things. Over time, we inspired others by our examples and sustainable business practice. Our vision and mission to live in harmony with nature has improved by lessons learned, along with the help and support of our government and community. Restoring and sharing of our traditional practices and knowledge in organic farming and sustainable fishing has inspired new interest in our subsistence living. We look forward to educating our visitors to travel responsibly. 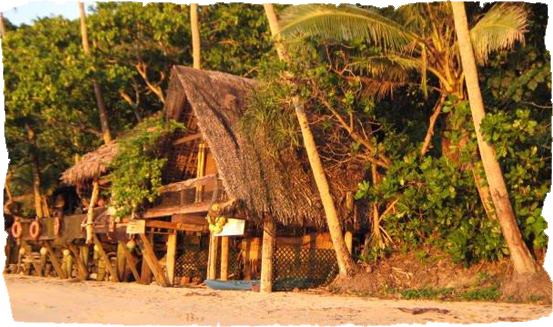 Stay in our Eco-lodge tree house and shared accommodations. They were designed and built for beach and nature lovers who would not have it any other way. 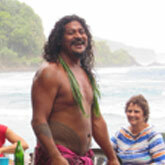 Hiking, snorkeling and Samoan cooking class tours are eco-friendly activities offered, year round at Tisa’s. Traditional Tattooing and Samoan Cultural arts are celebrated annually in the last weekend of October. Do not miss Po Ula night at Tisa’s. It is an ancient Samoan Party event celebrated on Full moon nights. It is worth staying overnight to greet the sunrise with an organic breakfast and our 5 star Pina Kolada. The challenge of feeding the world has become a major concern today, especially for small islands in the South Pacific. Alega Village farmers have revived the organic farming secrets of their ancestors and put them to practice. This is how the Food Security 4 U Revolution was established in the year 2017. The restoration and revival of the traditional planting secrets of Alega Village is our mission, we want to share with our community. For over a century, our village was the source of food supply for the island of Tutuila. After World War II, the village eventually lost its farmers to new ventures overseas by the mid-1960s. The next generation produced seven young men, and the farming of Alega began to flourish again. But once more, the young farmers grew tired of farm life and slowly they disappeared on the plane for new ventures. Today, some of the missing farmers returned home are eager to revive the secrets of Indigenous farming of Alega Valley and provide food security for the island of Tutuila. Join the revolution.